How can you find the diamond in the rough in the world of mortgage document compliance? Mortgage lenders face the daunting challenge of evaluating an extensive array of paperwork to ensure every loan document in the pipeline is compliant for federal, state, local and investor requirements. A mistake in a document can cost the lender thousands of dollars in “stipped” loans, incur regulatory fines, and creates inefficiencies leading to additional resource time and money. When lenders are faced with ensuring documents are fully compliant with hundreds of detailed laws and regulations, how can they build an environment that ensures that no costly mistakes are made? Much like jewelers use the “Four C’s” of gem quality – carat, cut, clarity and color – to evaluate the quality of a stone, lenders can use a similar rubric to evaluate their mortgage document compliance strategy. 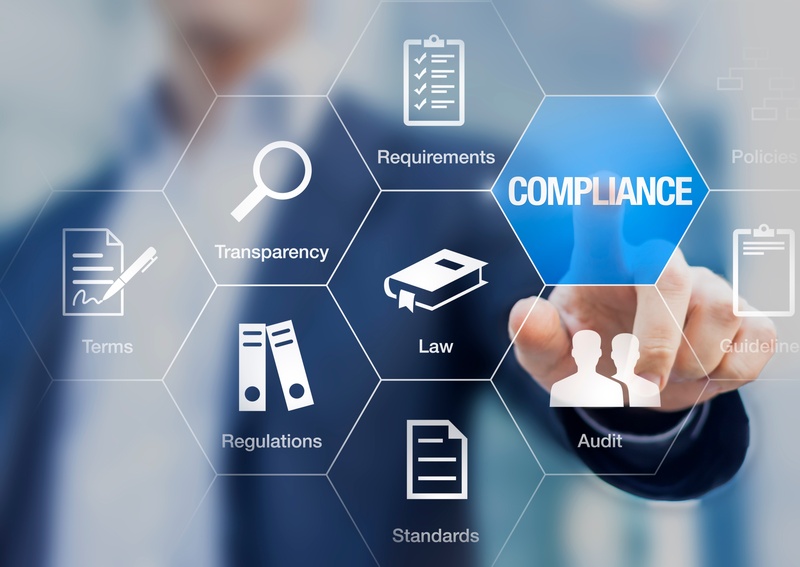 When faced with implementing a new regulation, lenders can rely on the “Three C’s of Document Compliance” – comply, communicate and cooperate – to evaluate and select the right document management partner to ensure that no documents “fall between the cracks” and are fully compliant. One misperception is that many of the most prominent regulations governing documents, such as TRID, are primarily about forms and documents. While required forms are certainly a component of these laws, the real challenge is understanding the difficulty and change that the procedural aspects of these rules convey. Mortgage document compliance often requires a combination of automated tools and in-house expertise to ensure that nothing is overlooked. This includes testing for data accuracy, tracking delivery, signing of documents, and ensuring all investor packages are complete. ConformX™ from Docutech provides lenders with loan documents and services that comply with all federal, state, and investor requirements. The ConformX HCL/PredCheck services provide detailed worksheets that drill down points and fee details to pinpoint compliance violations and suggest corrective measures, enabling lenders to easily review loans. First, provide a general overview of what the new rule is and how it will affect the lenders’ and partners’ business. This also means providing a clear timeline of when the rule goes into effect. Every employee involved in the mortgage lending process needs to know this information. Next, provide a plan for how to address the rule. The plan should include the timeline for testing and validation of the new requirements. It should also address the process for training staff, and potentially third-party partners, on how to comply with the new rule. Finally, communicate the resources that are available for employees or partners to access when they have questions. For example, online resources and doc vendors can often provide the additional information needed to understand the new laws. Docutech has an online collection of webinars, white papers, and product demos to help walk lenders through key issues related to document compliance. The mortgage process requires the coordination of many moving parts – the mortgage application software interfaces with loan origination systems (LOS), which in turn interface with document engines to produce disclosures and closing documents. LOS and document providers must also interface with settlement services and closing agents to ensure every loan provides accurate data to the consumer in the time frames required. This means lenders need to think about cooperation between all of the parties involved in the loan process. A lender must account for property inspectors, appraisal firms, realtors, and settlement agents when building a strong mortgage document compliance program. Without strong communication and software integrations amongst these parties, it will be very difficult to get the final fees, as well as issue documents on time. Not being able to make timely closings has many implications, including expiring rate locks or expiring purchase contracts. It is a loan officer’s nightmare as soon as several of these circumstances happen; the best way to stay ahead of that game is to have a plan for cooperation between lenders and their partners. Docutech has long made strong integrations and cooperation between service providers a priority in its software development. ConformX is integrated into all of the leading LOS platforms, and the company’s collaboration portalhelps mortgage lenders validate fees with the settlement agents electronically. This makes the entire process faster and more compliant, ensuring loans do not get held up on the way to the closing table. Compliance is a headache every lender deals with. But those who are on top of the Three C’s of Mortgage Document Compliance will be best prepared to excel under the rules while other firms struggle. Learn how Docutech can improve your document compliance for Mortgage, Home Equity, and Consumer Lending.